For a long time it was thought that the ancient rhino species Elasmotherium sibiricum, known as the Siberian unicorn, went extinct between 200,000 and 100,000 years ago. Now improved dating of fossil bones suggests that it survived until at least 39,000 years ago. Today there are just five surviving species of rhino, but at different times in the past there were as many as 250 different species. Of these, one of the most impressive was Elasmotherium sibiricum. Weighing up to 3.5 tonnes, it lived on the Eurasian grasslands ranging from southwestern Russia and Ukraine to Kazakhstan and Siberia. Eventually the species went extinct - but exactly when that happened has been in doubt. 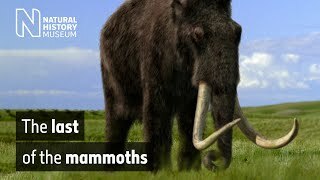 For those studying the fauna of the last Ice Age, one of the most significant events of the period was the megafaunal extinction. It saw the disappearance of many large, iconic species such as the woolly mammoth, the Irish elk and the sabre-toothed cat. Over the last few years, however, there have been some hints that this extinction date for E. sibiricum might be wrong. 'We dated a few specimens - such as the beautiful complete skull we have at the Museum - and to our surprise they came in at less than 40,000 years old,' explains Adrian. On its own this did not mean much, but by teaming up with researchers from the Netherlands and Russia, many more fossils were sampled. The researchers, who originally had not a single radiocarbon-dated Elasmotherium fossil, ended up with 23 dated specimens. 'They very strongly all confirmed that this species survived until at least 39,000 years ago, and maybe as late as 35,000 years ago,' says Adrian. The results have been published in Nature Ecology & Evolution. Elasmotherium sibiricum was a true Ice Age giant, weighing up to twice as much as a modern rhino. Unusually, despite its massive size and prominent shoulder hump, it is thought that the Siberian unicorn was actually adapted to running at speed. By studying the stable isotope ratios in the rhino's teeth, which involves looking at the levels of different carbon and nitrogen isotopes and then comparing them to different plants, the researchers were able determine what the animals were eating. The results confirm that the Siberian unicorn was most likely grazing on tough, dry grasses. Regarding how they behaved, however, researchers have to rely on living animals. This natural scarcity may have been one of the factors that tipped the Siberian unicorn into extinction some 39,000 years ago, around the same time that Neanderthals went extinct and some time before cave bears and spotted hyenas were last seen in Europe. This means that the animals would have been sharing Eurasia with both modern humans and Neanderthals, but as Adrian explains, it is unlikely that they were hunted into extinction. 'There is no evidence at all that people had anything to do with it. You can't rule it out, but we don't have any archaeological association of this animal with people in any way at any sites known so far,' he says. Instead it is much more probable that their extinction was the result of the dramatic fluctuations in climate that were occurring during this time period, coupled with the specialised grazing lifestyle and low population numbers. Finally, Adrian's colleagues in Australia were able to extract DNA from some of the fossils, the first time any DNA has ever been recovered from E. sibiricum. This has helped to settle a debate about where the Siberian unicorn, along with all other members of the Elastrotherium genus, fit on the rhino evolutionary tree. It turns out that the ancient group split from the modern group of rhinos roughly 43 million years ago. This means that the Siberian unicorn was the last species of a highly distinctive and ancient linage when it went extinct on the Eurasian plains only a few tens of thousands of years ago. Read the full paper published in Nature Ecology & Evolution. Find out more about what Prof Adrian Lister is working on.